Nvest’s goal with this initiative is to remind at least some of our service- men and women that everyone from home is thinking of them, cheering for them, praying for them, appreciate their sacrifice and that they are loved!During the Thanksgiving and Christmas holidays, troops are traditionally remembered with packages sent as the thought of not being home with loved ones can be unbearable. However, once the holidays are over, many service- men and women may begin to feel isolated as packages and letters slow down. Being away from loved ones is difficult enough but as the holiday of love approaches, a bitter reminder of being away overseas and away from family and friends is upon them. Many train themselves to think that Valentine’s Day is merely just another day. 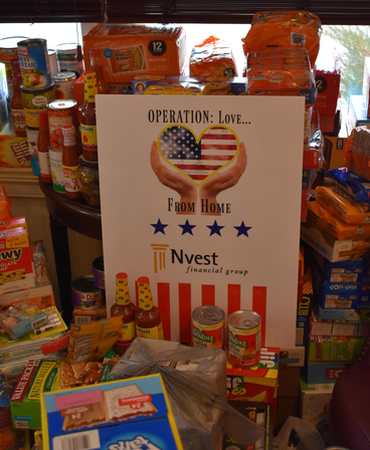 Each year starting after Christmas, Nvest has committed to promoting “Operation: Love…From Home”. 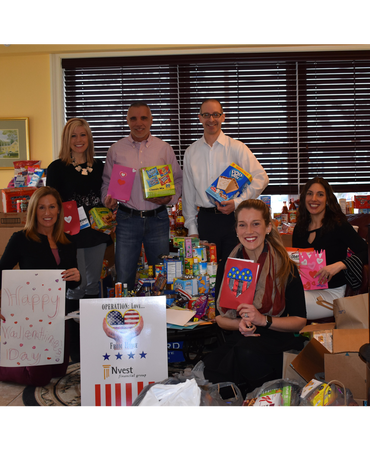 Nvest will collect goods that we believe service- men and women miss most while being overseas including handwritten notes and cards from area school children, package and ship these goods in time to arrive for Valentine's day. We hope this endeavor will grow each year so that one day the same can be accomplished for multiple units serving overseas. 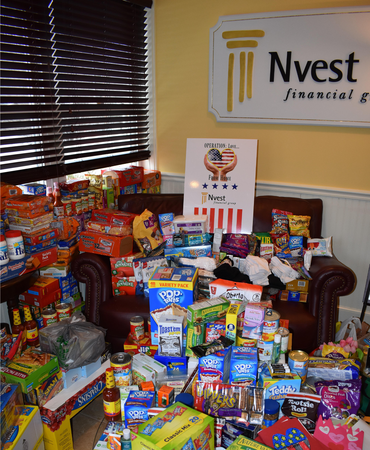 From everyone at Nvest: THANK YOU for contributing! We are extremely grateful to the community and everyone who participated. And a special thank you to Mail-It-Unlimited for donating the packaging material and helping ship the items in time. 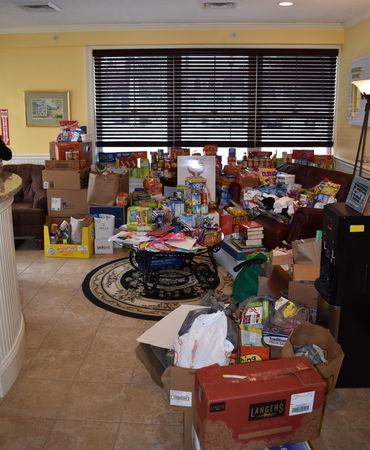 Without the love and support of the community in Kennebunk, Portsmouth, Newburyport and all the surrounding towns, Nvest would not have been able to send as many items and cards! And be sure to check your local newspaper in January 2019 for the next “Operation: Love…From Home”! 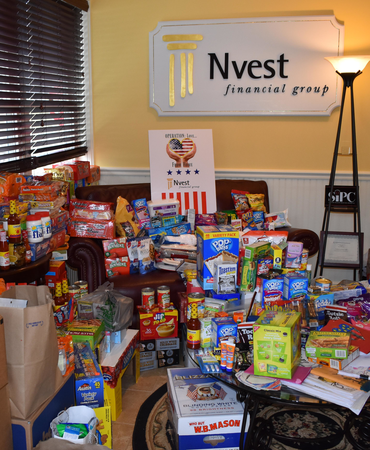 Kennebunk, September, 1, 2017- Nvest Financial Group has chosen to donate funds to the Houston Food Bank (HFB) and The Salvation Army to help the people of Texas affected by the devastation caused by Hurricane Harvey. Although in Maine, Nvest Financial Group’s thoughts and prayers are with the people of Texas during this time of crisis.